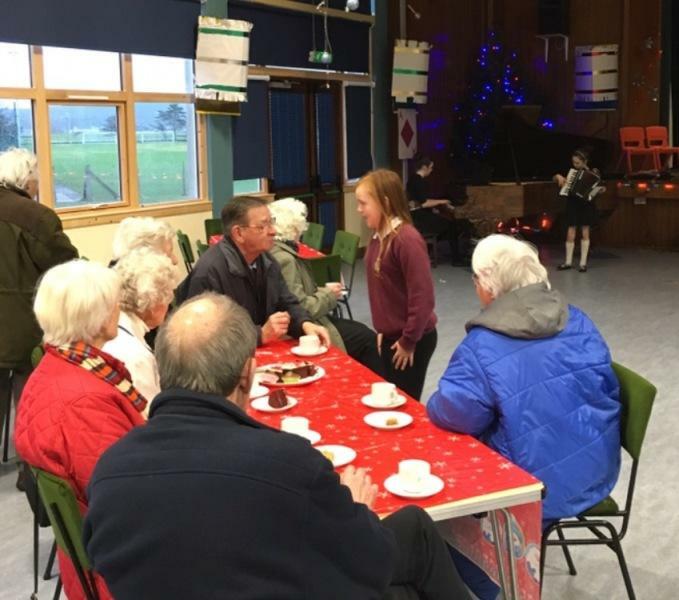 The Rotakids club at Brora Primary School have done great work all year within the community and have been especially aware of the needs of people of their grandparents and great grandparent’s age. They enjoy meeting and helping the elderly and learning about "the good old days" - how Brora was during and after the war. They hear about the long closed industries such as the coal mine and the brick works, even the once bustling woollen mill that gave work to so many until 20 or 30 years ago. They also enjoy meeting people like George Macbeath the ex janitor who visits regularly to tell of the school in its earlier days and about working on the land before the days of super markets and the like. In appreciation the Rotakids laid on a wonderful afternoon where they said thank you to the older generation and provided them with afternoon tea and a gala performance of entertainment. 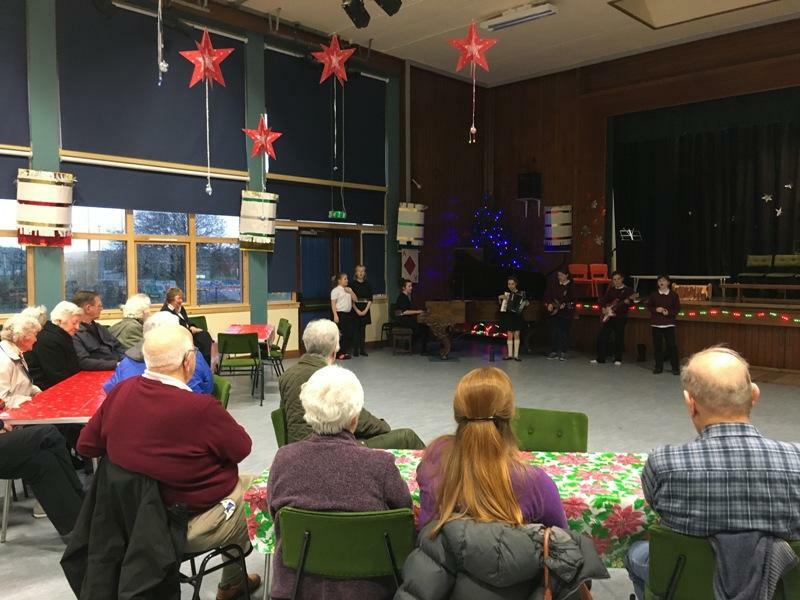 Pipers, a choir , Scottish Country Dancing, Christmas Carols, pop music and most importantly a warm welcome and an afternoon to remember. For many this replaced the Christmas Lights Switch which many had been unable to attend the when the children entertained on a stormy night. The children were the organisers the tea makers and the waiters and waitresses -even the washer uppers and they did a great job. People like Bill and Rhoda Honeyman and Ishbel Clarkson said "these kids did us proud, they were a joy and the talent on show was a delight - here's to next year!!" Rotary Assistant District Governor Alistair Risk was delighted to announce that the Brora Rotakids had been awarded the title of Joint Winners of the best Rotakids club in Fife, Grampian, Tayside and the Highlands and Islands. Well done Brora! !